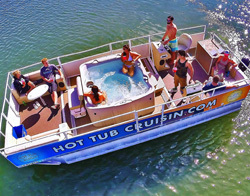 Hot Tub Cruisin offers a new, exciting, and luxurious boating adventure for all to enjoy on the waters of Mission Bay in San Diego, CA. Take in the scenic views from our eight person, multi jet hot tub or from our additional plush deck seating. Whether you are relaxing in our spa after brunch, lounging on the deck listening to music on a cool afternoon, taking in a beautiful sunset, stargazing or watching the spectacular nightly Mission Bay firework show, Hot Tub Cruisin has something to offer for everyone. With adjustable water temperature, you can enjoy a refreshing dip in the tub on a hot summer day or stay warm during a cool afternoon or evening cruise. What sets us apart from the rest? We intentionally limit our trips to 6-14 divers. This gives you a more personal experience and better yet, less divers on the dive site. We will never take you out with 20+ divers. From Beginners to Tech Divers, you will love our knowledgeable crew and family-like atmosphere. All of our crew members have extensive dive safety training, and our crew includes a Paramedics, EMTs, Firefighters, and an ER Nurse. You are safe when you dive with us! 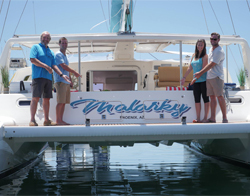 Our Boat: A custom 40′ Delta dive boat. 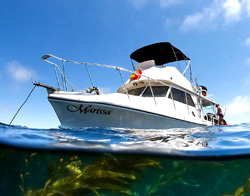 She has a large covered deck area and she is one of the nicest dive boats in San Diego. Our 37ft sailing vessel El Barco is able to sail with up to 6 passengers. There is ample seating below deck, in the cockpit, and up on deck on any of her deck pillows, bean bags. Sparkling Champagne, soda and water are available. Imagine sailing past Downtown San Diego and Coronado Island aboard a private sailing yacht. Celebrate your special event under the romance of sailing. Have you ever wanted to go sailing on San Diego Bay but didn’t know anyone with a boat? Come sail with us! Our yacht is a modern, luxury 37 foot sailing yacht. Just sit back, relax and enjoy a great day with your friends and family. Sailing ls a great way to spend a memorable day on the San Diego Bay. It’s so much fun! 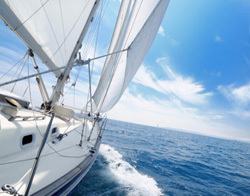 We offer private and small group charters and sailing lessons up to a maximum of six people. Let’s go sailing!